Well, Cliff has been working hard on this, and we are expecting to start shipping any day. 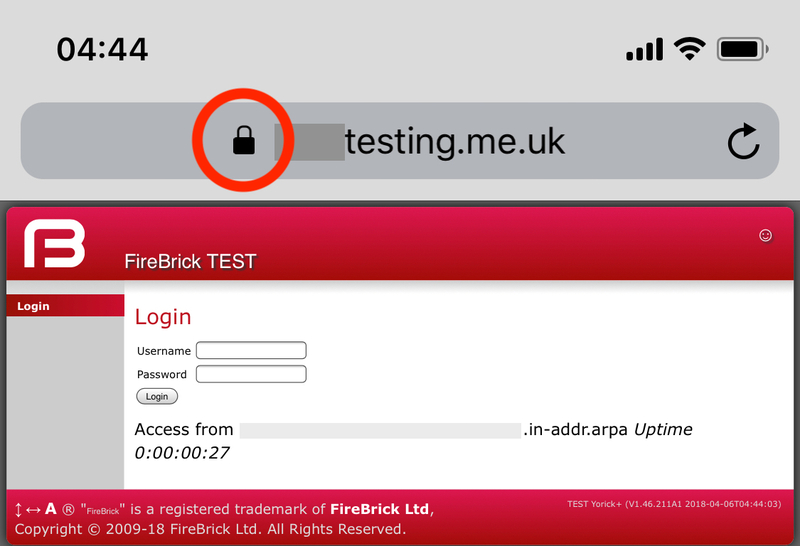 This is indeed a FireBrick https access from an iPhone! Anyone who has alpha code access on their FireBrick (FB2500, FB2700 or FB6000 series) can test https now. You need to install a key pair and certificate, which could be self signed or (as per my testing) a Let's Encrypt one matching the hostname of my test FireBrick. The plan is that in the following release of code, the FB2900 will be able to do this automatically and use ACME to obtain and maintain a certificate to make it easy. 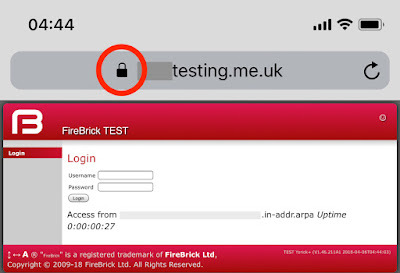 Email the firebrick testers mailing list with any feedback. If testing goes well over the next few days we'll be able to announce the FB2900 details and launch. "This is indeed a FireBrick http access from an iPhone!" Should this read "https access" (because of the little padlock symbol)?